A martial arts master takes lessons from the ring, the mat, and the rain forest and applies them to life at the poker table. The general wisdom and explicit hand analysis will entertain you while improving your game, whether you’re a poker enthusiast or professional. 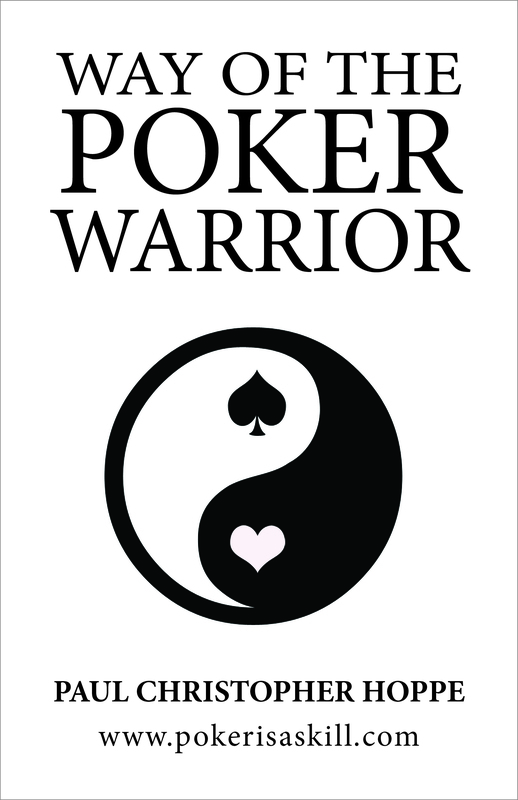 Way of the Poker Warrior is the first book I ever wrote. Based on my personal experiences in poker and martial arts, it’s a blend of my approach to playing poker and detailed hand analysis. A blend of the theoretical and the practical. I wrote this book when I was at the top of my Limit Holdem game. I wasn’t one of the best poker players in the world, but I was one of the best playing mid-stakes Limit Holdem. The majority of the hands are from my own Limit Holdem play. I think most of them are excellent. A few of the hands are contrived No Limit Holdem examples. Those hands are much weaker. Over the next few months, I’m going to be integrating new No Limit Holdem hands into the existing chapters, thereby creating a second edition.